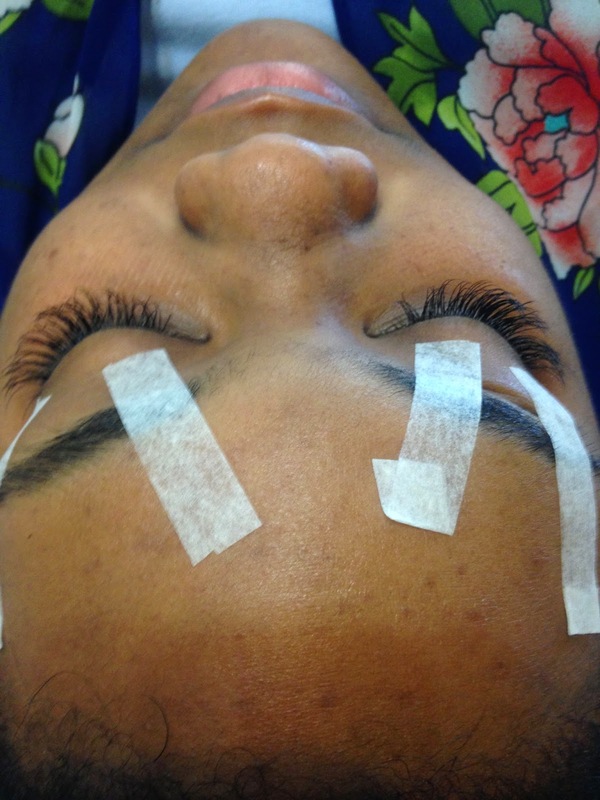 I got lashed today by Elle C. Luxury co-owner and Xtreme Lash stylist, Charlie Butler. 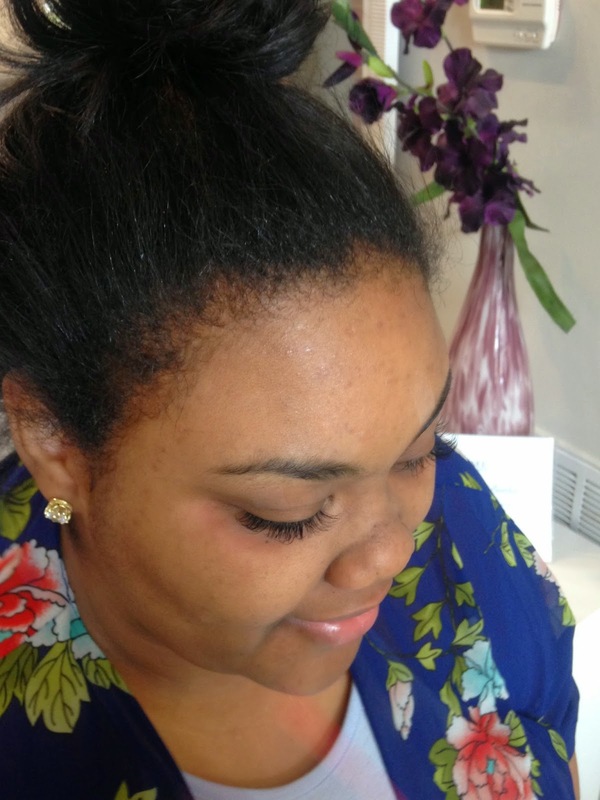 Xtreme Lashes Eyelash Extensions are developed to mimic your natural eyelashes, each eyelash extension is individually applied to a single eyelash, resulting in a gorgeous, natural appearance. I've seen them on so many friends and they're so natural and pretty. I wanted to try an every day look with lasting look. With proper care these can last up for a month. The process was pretty interesting. 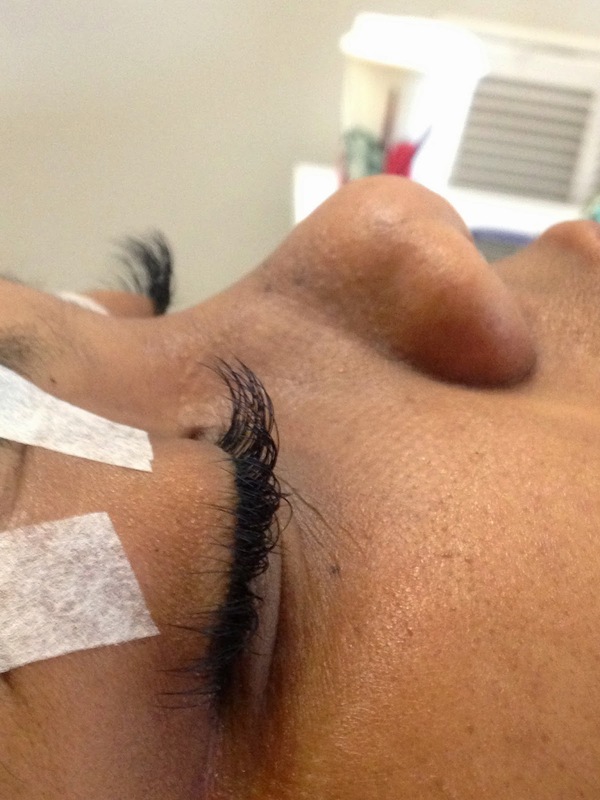 First, my lashes had to be cleaned. Second, primer was set for the special glue. 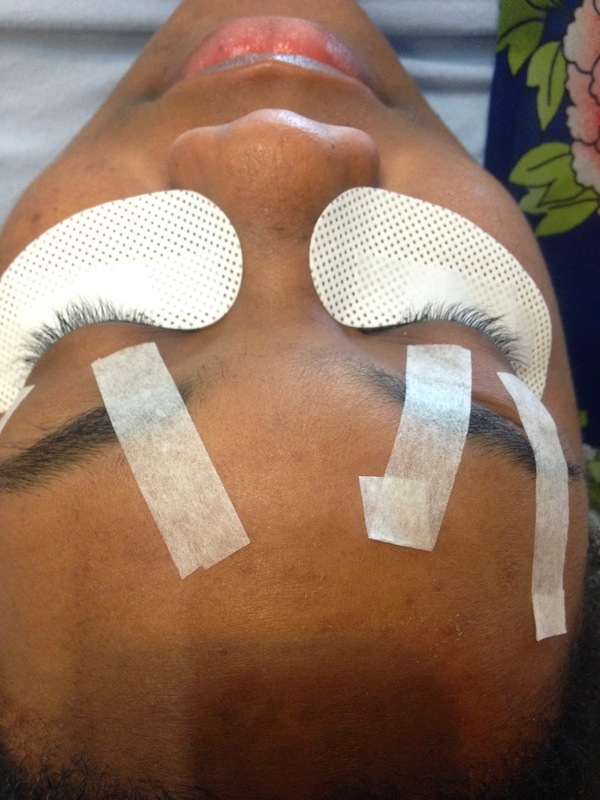 Third, gel patches were placed under my bottom eye lids to protect from getting glue on them. 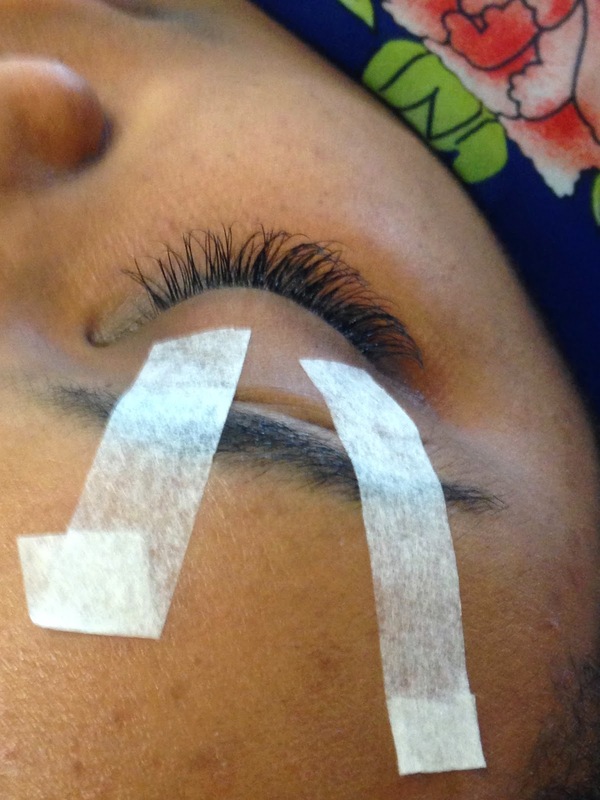 Fourth, tape was placed to hold my eyelids in place to properly place the lashes as close to the lashline. 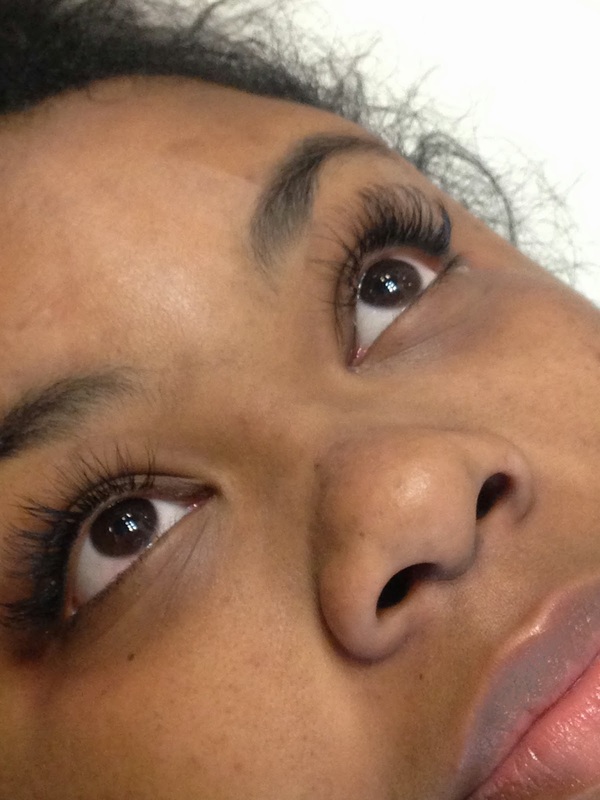 Lastly, the lashes were applied. The whole process was about an hour and a half. The only downside was my rear end hurting from laying on the reclined chair for that long and being antsy. I loved the flutter look and how natural they are. Charlie told me I can still wear strip lashes (you know I am!) in addition to my Xtreme Lashes. Check out my before and afters. Wow, this looks so natural on you. i have always want something like that. Join Me To "Flaunt Your Look"